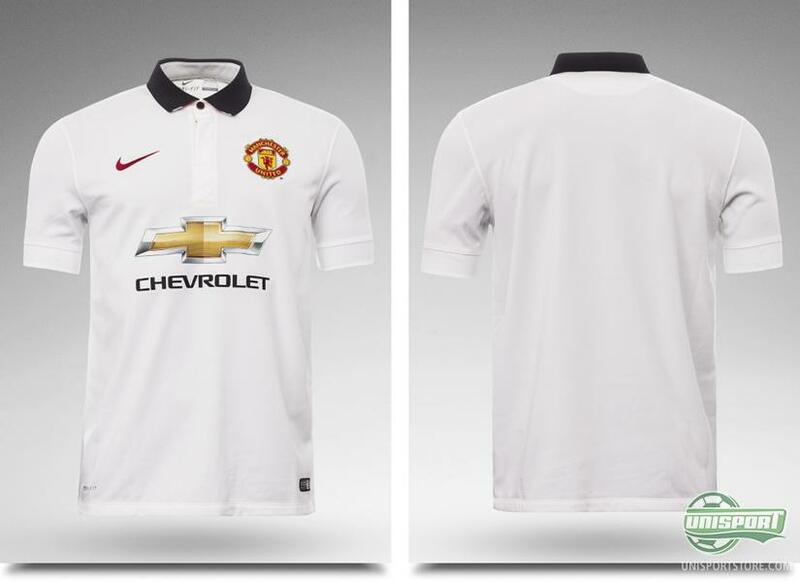 Shortly after Nike unveiled Manchester United's new home-shirt the two parties announced that this would be the last Nike United shirt this time round. Now Nike are here with the Red Devil's new away-shirt, which is back in white. For the first time in a very long time, Europe won't see Manchester United in the most prestigious competition in Europe. It has definitely hurt the red side of Manchester's pride, but optimism still remains. With Louis van Gaal at the helm rebuilding their previously seemingly indestructible empire, they hope their absence from the Champions League will only be brief. 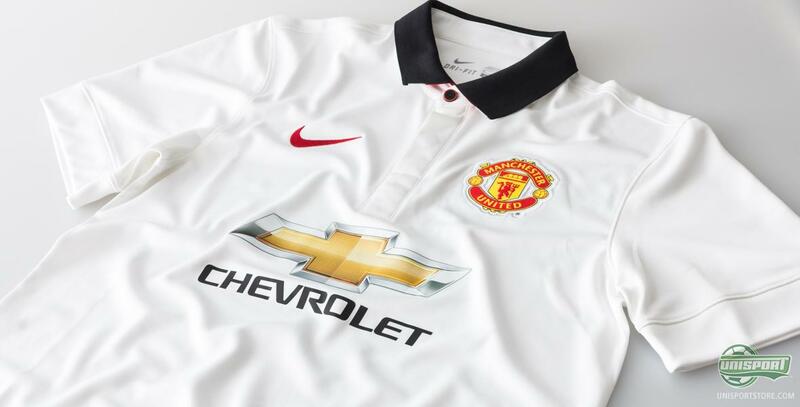 Manchester United have always been one of the most popular clubs and that is also why there is so much attention directed at the club, when a new shirt is unveiled. 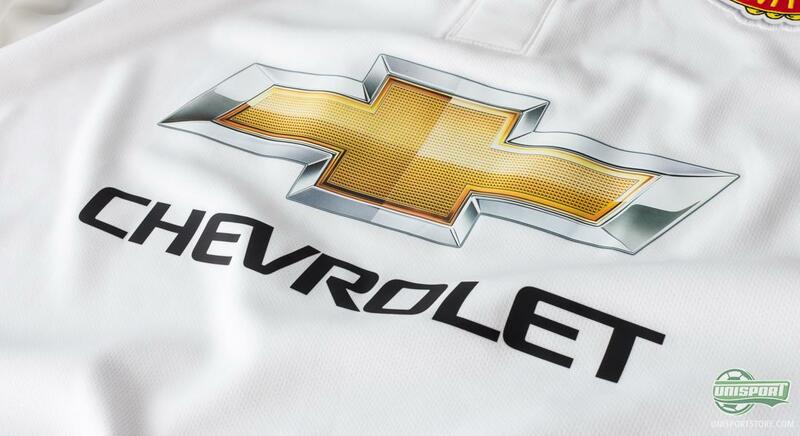 When Nike design a new shirt for Manchester United, they don't just have to take a clubs thoughts into consideration, but also a fan base of millions. 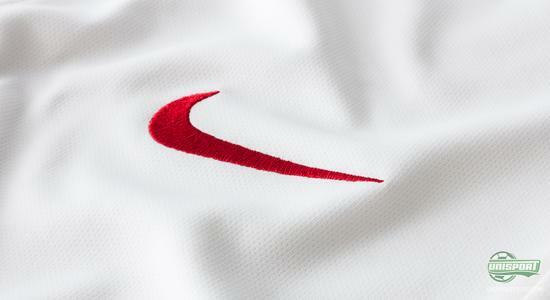 And with the new away-shirt it is very easy to spot that Nike have thought over that too. Because there are several elements to the shirt, which will appeal to the hopeful fans. Besides the obligatory parts of the shirt, like the club logo and the new shirt sponsor from Chevrolet, the design is elegantly simplistic and made with a classic colours. 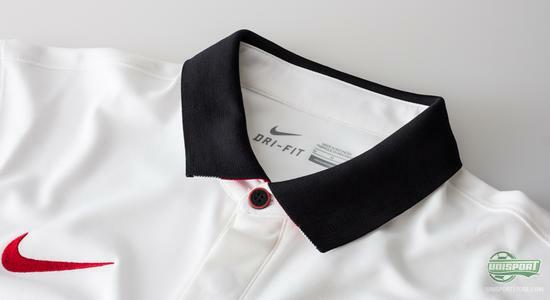 The polo collar has a special connection to the club, when a certain French football genius used it to stand out from the crowd by rolling it up. On Manchester United's new shirt the polo-collar is back and as a cool little detail, the inside is made with three stripes in red, white and black to embrace the clubs colours. 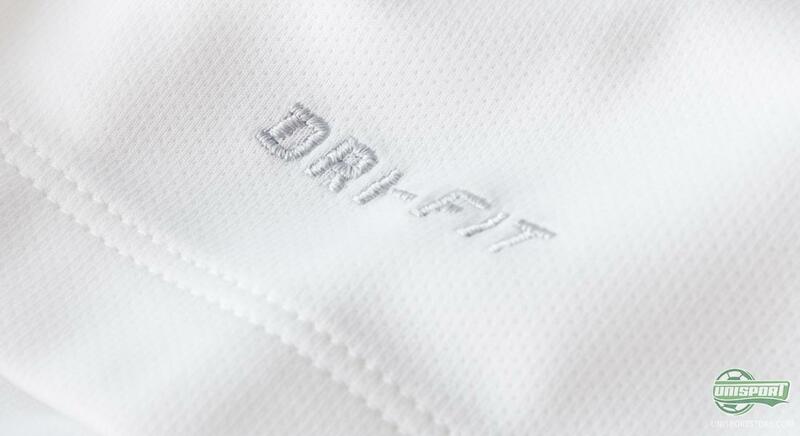 At the same time Nike have incorporated the characteristic red devils, so you can see it clearly if you button up the shirt. The new away-shirt takes all the elements that have shaped the club and some of the greatest memories from Old Trafford. 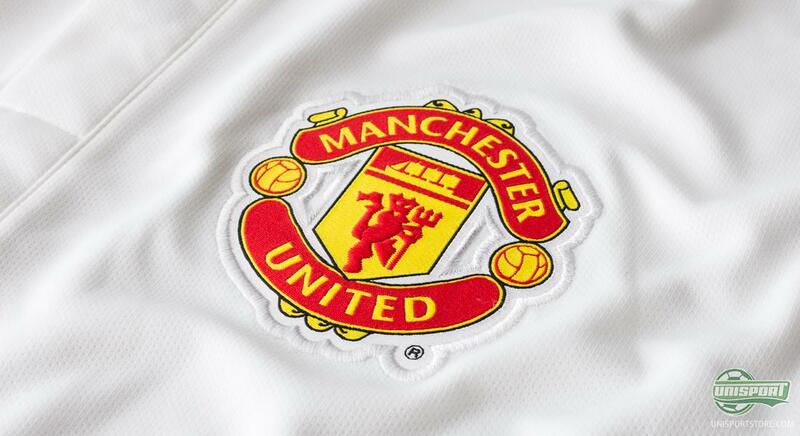 Nike and Manchester United will part ways from next season. 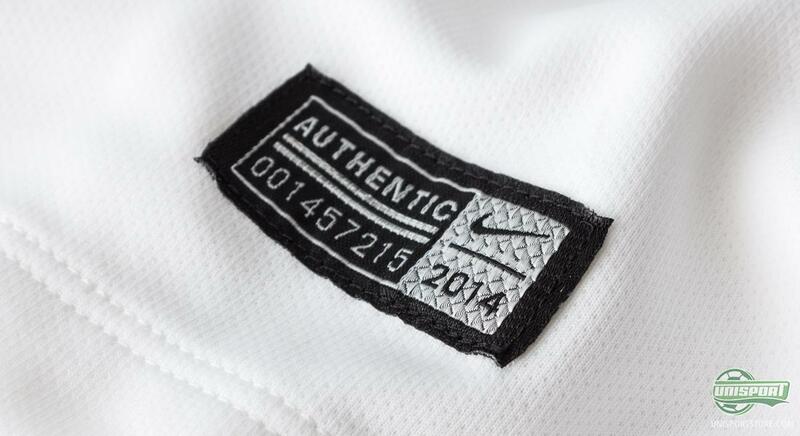 Therefore it's good to see Nike leave a good impressive, before adidas take over, where they left off. This away-shirt comes in a classic and stylishly clean design. What do you think of it? Which of Manchester United's away-shirts do you see as the best so far?